Leadership is a process of social influence by which a leader enlists the aid and support of the followers in the accomplishment of a common task. It can be defined as the ability of a person to get others to willingly follow. It is a process by which a person influences others to accomplish an objective and directs the organization in a way that makes it more cohesive and coherent. It is a way of focusing and motivating group of people to enable them to achieve their aims. It makes the people accountable and responsible for the organization as a whole. It is the process of guiding people while operating to meet organizational requirements and improving the organization through a change. 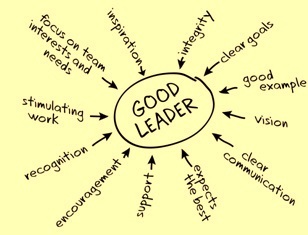 Leadership style is the style of the leader to provide direction, to implement plans, and to motivate people. It is the result of the philosophy, personality, and experience of the leader. Different types of leadership styles are prevalent. They are (i) engaging style, (ii) autocratic style (iii) participative or democratic style, (iv) free rein style, (v) self loving style, (vi) toxic style, (vii) task oriented style and (viii) relationship oriented style. Different situations call for different leadership styles. In an emergency when there is little time to converge on an agreement and where a designated authority has significantly more experience or expertise than the rest of the team, an autocratic leadership style may be most effective; however, in a highly motivated and aligned team with a homogeneous level of expertise, a more participative or democratic style may be more effective. The style adopted should be the one that most effectively achieves the objectives of the organization while balancing the interests of different persons. A leader is a person who organizes a group of people to achieve a common goal. He influences the people of the group towards a specific result. He is not dependent on title or formal authority. He is an individual with the capacity to consistently succeed in a given condition and be viewed as meeting the expectations of the organization. He is recognized by his capacity for caring for others, clear communication and a commitment to persist. An individual who is appointed to a managerial position has the right to command and enforce obedience by virtue of the authority of his position. However he must possess adequate personal attributes to match this authority, because authority is only potentially available to him. In the absence of sufficient personal competence, a manager may be confronted by an emergent leader who can challenge his role in the organization and reduce it to that of a figurehead. However, only authority of position has the backing of formal sanctions. It follows that whoever wields personal influence and power can legitimize this only by gaining a formal position in the hierarchy, with commensurate authority. Every organization needs leaders at each level. Leader emerges from within the structure of the organization. His personal qualities, the demands of the situation or a combination of these and other factors attract followers who accept his leadership. Instead of the authority of position held by an appointed head or chief, the emergent leader wields influence or power. Influence is the ability of a person to gain cooperation from others by means of persuasion or control over rewards. Power is a stronger form of influence because it reflects a person’s ability to enforce action through the control of a means of punishment. Leader who demonstrates persistence, tenacity, determination, and synergistic communication skills usually brings out the same qualities in his group. Good leader uses his own inner self to energize his team and organization. He leads the team to achieve success since he has leadership attributes such as beliefs, values, ethics, character, knowledge and skills. He creates trust in the group and to create trust the leader subscribes to a value system: a behaviour that enhances the confidence, commitment and enthusiasm of the people of the group. Leader has a vision. He does not follow a trodden path. He sets high standards and goals across the entire spectrum, such as strategies, market leadership, plans, meetings and presentations, productivity, quality and reliability etc. He foresees the things happening in future due to his intuition and experience. He foresees paradigm changes which are going to come and guides his team and organization on the path of success while negotiating these changes. He takes a few steps ahead of his team, but not too far for the team to be able to understand and follow them. Disputes ranging from minor differences in opinion to fundamental differences in ideology can arise in the group. The group leader needs to have qualities to handle such disagreements constructively and to ensure that people of the team remain focused on achieving the organization objectives. Leader encourages people to stand back from any disagreements and look at things objectively. By doing this, the leader not only resolves any differences but also avoids any possible conflicts. A leader has an honorable character and gives selfless service to his organization. He is to be trustworthy and is to be fully committed to the organization. A leader concentrates on what he is (such as beliefs and character), what he knows (such as job, tasks, and human nature) and what he does (such as implementing, motivating and providing direction). Helping the employees understand the organization’s overall business strategy. Helping the team members understand how they contribute in achieving key business objectives. Sharing the information with the team members on how the organization is doing relative to strategic business objectives. A leader must let vision, strategies, goals, and values to be the guide post for action and behaviour rather than attempting to control people. A leader has to understand his three attributes namely (i) be, (ii) know and (iii) do, in order to know himself. Seeking self improvement means continually strengthening these attributes. This can be accomplished through self study, formal classes, reflection, and interacting with others etc. As a leader, one must know his job and also has a solid familiarity with the team member’s tasks. A leader search for the ways to guide his organization to new heights. When things go wrong he does not blame others. He analyzes the situation, takes corrective actions and moves on to face the next challenge. A leader uses good problem solving, decision making and planning tools for success. A leader is good role model for the team members. He not only hears what he is expected to do, but also sees around them. This provides him with good input for decision making. A leader is to know human nature and the importance of sincerely caring for his people. He is to be observant and sensitive towards the people. He is to know his team and to develop mutual confidence within it. A leader needs to know how to communicate not only with his team members but also with seniors and other key people. A leader is to develop a sense of responsibility towards his people. It helps to develop good character traits that will help his carry out his professional responsibilities. A leader ensures that tasks are understood, supervised, and accomplished by the people. Communication is the key to this responsibility. A leader is to train and develop his team members. A leader uses the full capabilities of his organization. By developing a team spirit, he is able to employ his organization, department, section, etc. to its fullest capabilities. A leader is to be self disciplined and is to ensure discipline amongst his people. A leader should not only be sharp in decision making but should also be able to convince others for implementation of the decisions. A key aspect of leadership is delegation. Unless a leader delegates tasks to his subordinates, his team will become inefficient and demoralized. Even though leader has delegated a task to someone else, he is still responsible for making sure the task is done on time and correctly. A leader has to raise the confidence of the people. He needs to make them understand that tough times are part of life and that they will come out better at the end of it. He has to create and sustain their hope, and energy levels to handle the difficult days. A leader leads people to fight for the truth and never compromises on the values. Effective leader, through honest and with desirable behaviour, reaps long-term benefits for his people. The behaviour of a leader is the most important factor that impacts the environment of the organization. Leader has to prove his belief in sacrifice and hard work. Such behaviour enthuses people to make bigger sacrifices. It helps to win the people’s confidence, making leadership to become credible, and also helps create trust in the ideas. A leader views training and coaching from two different viewpoints: coaching to lead others and being coached to achieve self improvement.